To play better disc golf … be a sponge! June 6, 2012 / P.J. I’m speaking to all disc golfers here, but primarily to those of you who really love to play, maybe even 2-3 times a week, but still feel like you could get way better. The Am2 players who want to move up to Am 1, the Am1 players who want to start challenging the pros, and the rec players eager to see your scores go down. When you think “Be a Sponge” you probably think I mean something like “Soak up all the advice you can,” or “Watch the top pros whenever you can.”Though neither of those pieces of advice are bad, I’m thinking the opposite sponge metaphor. The first thing to do when you want to get better disc golf scores is to wring out all the potential you currently have, even as you work to improve and expand your skill set. In any sport, when you hear about an athlete that maximized his or her potential, or overachieved, it’s usually in reference to someone with an average physical game but an extraordinary mental game and strong desire to get better. They squeeze the most out of their physical potential (like wringing out a wet, heavy sponge). Drives: Many disc golf courses play through forgiving, wide-open, flat grassy park land, allowing you to see the basket you’re aiming for no matter where you land. DeLaveaga, my home course, is not one of those courses. Far, far from it. Therefore at DeLa it is much more important to throw your drive accurately than it is to throw it far. You can save many strokes by not trying to throw a drive as hard as you can – focusing on a smooth, accurate delivery instead – when your odds of reaching the hole with a birdie chance are small. In fact, if you take this accuracy first approach, you’ll be surprised at how quickly your distance improves as well from increased smoothness. Side Note: I first truly understood this concept by reading Golf In the Kingdom by Michael Murphy, one of the most popular works of fiction in golf history. It is one of the many golf books I’ve found to have useful parallels to disc golf. Approach Shots: Have you heard the golf term “game management?” It involves the mental side of golf in general, and specifically refers to making smart decisions during a round based on everything you know about your abilities, the course, and the conditions at the time. In disc golf – and especially at more technical courses like DeLaveaga – I think game management comes into play on the second shot more than any other. Either you have some kind of look at the basket for birdie and have to decide whether to really go for it, or you’re in trouble behind trees or down a ravine. In both cases your decision on each shot begins with calculating the basic risk/reward ratio. If you are not familiar with this term, it is the comparison of the risk on a given shot (disc hits front of basket and rolls down into ravine, hundreds of feet below), to reward (birdie!) A smart disc golfer considers risk/reward along with his or her own abilities on that day when making shot decisions. Sometimes, when I know I’m not in the groove or maybe just have a stiff back, I’ll play it conservatively simply because I don’t want to chase my disc down into the ravine. But other times it’s not so black and white. Having the discipline to be able to recognize my limitations and manage my game accordingly means winning vs. losing. Being a sponge means intelligent game management. Putting: Much of what I just wrote about approach shots applies to putting, in terms of risk/reward. But putting requires attention unto itself, because until you put the disc in the basket, that great drive or amazing upshot counts for nada. On the mental side of putting, I’ll just say for now that you need to first decide exactly how you want to proceed (go for it hard and straight, go for it with a safe lofty shot, or lay it up), then execute the shot decisively. Make sure you know what you want to do, then do it with full confidence and focus. Hopefully this brief discussion of getting better by simply playing smarter gets you thinking of ways to apply it to your own game. No matter who you are, you’re leaving strokes out on the course. The trick is to figure out where, and then why, so you can squeeze ’em out. Remember, disc golf is fun no matter what. But getting better adds satisfaction, which leads to a whole different kind of pleasure. Questions, comments? Let the discussion begin. Look for Part 2 of Be a Sponge, coming soon to Rattling Chains. 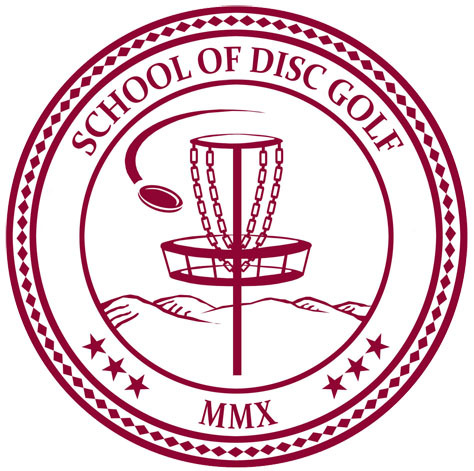 Jack Trageser is the founder of School of Disc Golf and is a writer for RattlingChains.com. You can reach him at jack@rattlingchains.com. This is great advice, thanks! Great advice and references… As a new player I definitely need to step back and take a constructive look at my options considering my abilities, the course and elements of the day.